Trying to educate consumers about food technology is often a waste of time, says Joseph Zhou, an investment partner at China’s first food technology VC and accelerator. He says that it’s better tasting food that will solve China’s big food issues – safety, waste, and sustainability. 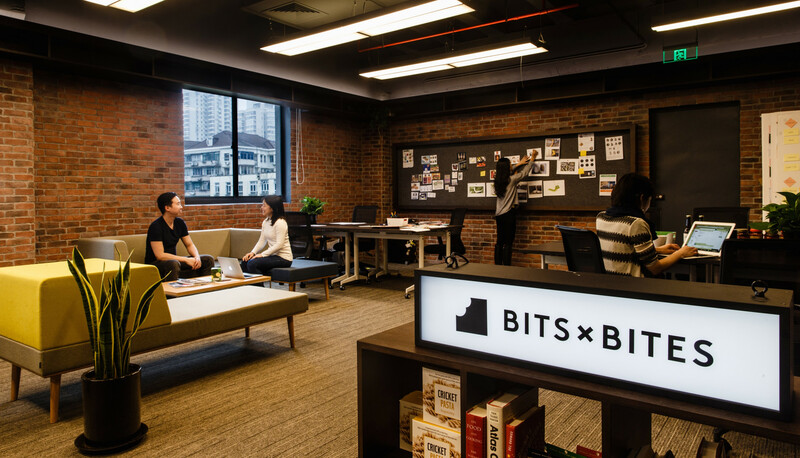 Bits x Bites (the “x” is pronounced as “and”) is a Shanghai-based technology accelerator and VC firm that focuses entirely on food technology, but finds in China that it is best not to mention the technology to the eaters of the final products. “Food is emotional. Food has the power to convince people, so you don’t want to have tech overpower the food,” Joseph explains. The VC firm has set its sights high: using food technology to tackle China’s chronic food safety concerns, to reduce waste right along the supply chain and to ensure the future sustainability of the country’s food (and perhaps diverting a little investment away from China’s burgeoning O2O sector along the way). The food-focused approach to problem-solving also informs how the VC selects startups for potential investment. “Food is always the first priority. When people approach us with a new idea our first question is ‘Is it tasty? Can we taste it?’ Then we talk about production, sourcing, safety,” said Zhou. Ensuring that what you eat in China is safe is almost impossible. Even the government has found that a fifth of farmland is dangerously polluted and 80% of groundwater – used by farmers – is contaminated. However, further down the supply chain are even bigger problems: from negligence and outright criminality in food processing that have caused scandal after scandal, most notoriously the baby formula catastrophe, to poor management of fresh food storage during distribution and in stores. The founder of Bits x Bites previously founded Yimishiji (一米市集), an online farmers’ market, still running and sometimes used to collect data for marketing strategies and launch products. It started with a focus on safety via transparency. Almost all the food was grown on Chongming Island near Shanghai and produce was labeled with each farmer’s name. 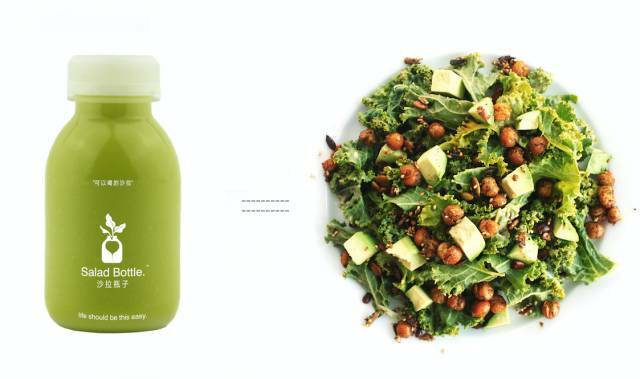 In fact, customers could see 19 different facts about the food even including the total carbon footprint. This helped build trust but was too small and only covered a small section of the supply chain. 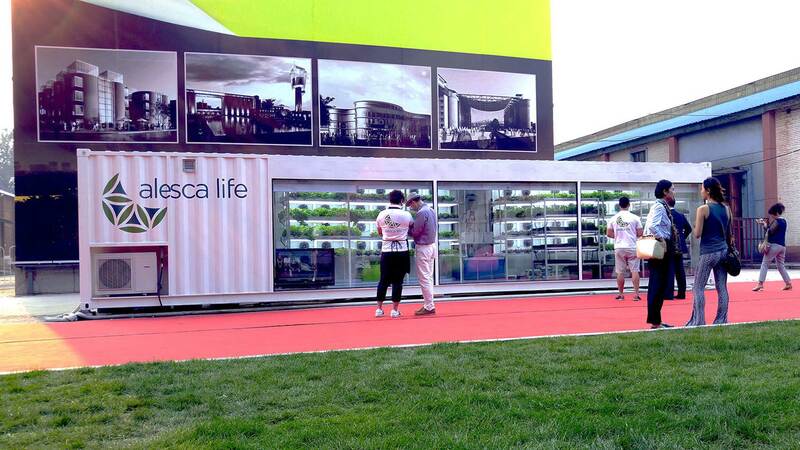 Bits x Bites’ most extreme solution so far is container farming startup Alesca Life. The units don’t even use soil. They’re totally controlled in terms of temperature, moisture, and lighting. The containers can be placed anywhere and are connected to and controlled via the cloud. “You don’t need a farmer’s 20 years of experience, just the technology,” explains Zhou. A few are popping up in China, such as in Beijing’s new Hotel Jen. Alesca cannot yet supply the mass market, but one major client so far is the Dubai government, where the attraction is more for sustainability and for improving the health of the citizens with fresher produce. “Food waste happens at many different phases along the supply chain – at the farm or in the fridge,” says Zhou. One solution they’re looking into is the cold supply chain, which sees a large overlap with food safety issues. There are cold supply vehicles – trucks that refrigerate the produce – but around half an hour after picking up the produce from the farm or warehouse, the haulage companies switch off the refrigeration to reduce costs. They then turn it back on in time for the food to be cool when it arrives at the warehouse or store. Remote cold sensors that track the temperature of produce along the journey is something the team is hoping to invest in. Another is at the end of the food journey – people’s fridges. An Israeli company called Phresh has developed a powder to put in the fridge that slowly vaporizes to kill bacteria, making produce last up to three times longer. “Lots of people in the food industry are very conscious that there will be 9 billion people in the world by 2050. Protein is of particular concern,” said Zhou, explaining how this creates opportunity. While Silicon Valley is pushing ahead with lab-grown meat – known as “clean meat” – others are looking into plant- and insect-based proteins. China has a long history with plant-based protein such as soybean products and mushroom-related foods. Buddhism had a part to play in these, as did food scarcity. Insects are already part of people’s diets in China’s northeast, south, and southwest. “But they haven’t innovated, which means there’s an opportunity,” said Zhou. Bits x Bites are looking for plant-based products as part of the “consumption upgrade” (消费升级 in Chinese) they’re seeing in China. One of their startups is Bugsolutely; they make snacks out of silkworms and pasta out of crickets. This has been seen in markets around the world such as Chobani yogurt entering a market that had been saturated for 15 years and then taking 15% of it by pushing its Greek-style technique. Craft beer has been a similar success, quickly surging to take 12.5% of the US market with breweries being bought up by the mega-breweries that were losing market share. “We’re confident Chinese consumers will ride the wave of consumption upgrade. Consumers are willing to pay a premium which is encouraging to entrepreneurs,” said Zhou. The government also appears to be confident. The Chinese Academy of Agricultural Sciences (中国农业科学院, “农科院”) has even approached Bits x Bites for some early stage discussions. They have a huge number of patents related to food production and are hoping to commercialize some of these patents and get help building teams. Nothing is confirmed, but it shows the potential willingness from a government agency. 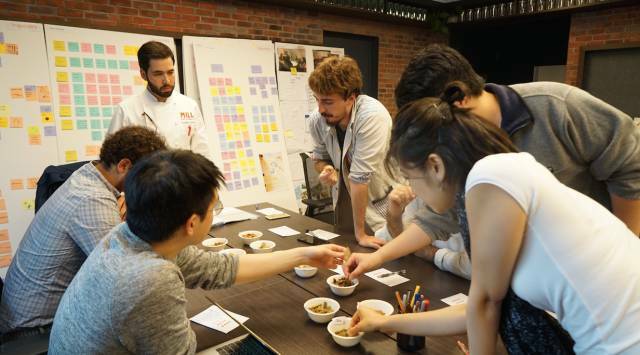 The first Bits x Bites “harvest” of startups has just finished its four-month program that culminated in a demo day in Shanghai where media and potential investors and customers came to see the future of the food. The accelerator only deals with early stage seed startups, pre-A round startups, and those with A round funding. The startups pitch to Bits x Bites for a place, with the VC’s limited partner Shinho (欣和) – the condiments manufacturer – helping to make final selections from the shortlist. The team is currently reviewing applications for the second cohort and accepting applications until 30th June. The team also proactively looks for potential incubatees by examining the food supply chain and looking for gaps then approaching people they think can solve a problem. As well as 120 days of training, startups get to use their co-working space as well as access to labs, kitchens and a lot of mentors and money. Bits x Bites can put up to RMB 3 million into a startup, for no more than 15% of the equity. The money comes from Bits x Bites’ limited partner, Shinho. 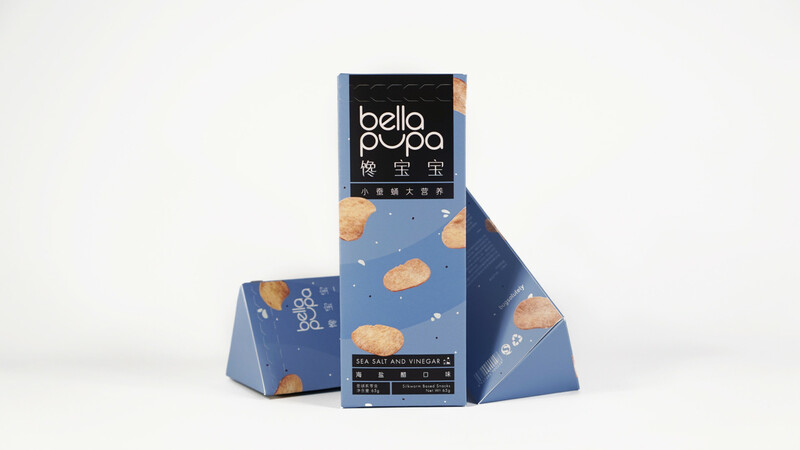 The founder of Bits x Bites, Matilda Ho, fellow Taiwanese and MBA peer of Joseph Zhou, used to work for design agency IDEO in Shanghai where Shinho was one of her food clients. Shinho realized that it needed to go beyond just using good ingredients to make an impact on improving China’s food outlook. “They knew they had to open their capital to attract talent,” said Zhou. They became the limited partner when Ho established Bits x Bites. The accelerator shares a space with IDEO whose senior leadership in Shanghai also serve as mentors to the startups and advisors to Bits x Bites. When products are ready, they are launched across various platforms such as Yimishiji, Benlai Shenghuo (本来生活) and Tencent-backed MissFresh. While the VC has the money to pay for supermarket listing fees, they encourage the startups to get user feedback from e-commerce sales and use new media to push out the story before looking at supermarkets and convenience stores. Food technology can lead to safer, more sustainable food, but if it doesn’t good it won’t sell. China, and the rest of the world, could have a more secure food future if demand for these foods grows. However, China is starting with some of the most serious food safety problems. As Bits x Bites already know, the proof is in the pudding, literally.